Drive Targeted Traffic to Your Blog Every Single Day. What if I told you there is a FREE way to grow your blog audience. And not only that, you can make sure that they are the perfect match for your business and offerings. Did you know that Pinterest is one of the largest drivers of website traffic in the world? (The FREE sort, we’re not talking about spending money on ads here). It is THE most effective social media channel to get people who are interested in what you do, to come over to your website and check you out. And the best bit? You can set up a strategy that allows you to build and automate a growing blog audience in as little as an hour a week. You’ve heard that Pinterest is one of THE BEST tools you can use to drive traffic to your blog and website. But, how do you set it all up? What are group boards? 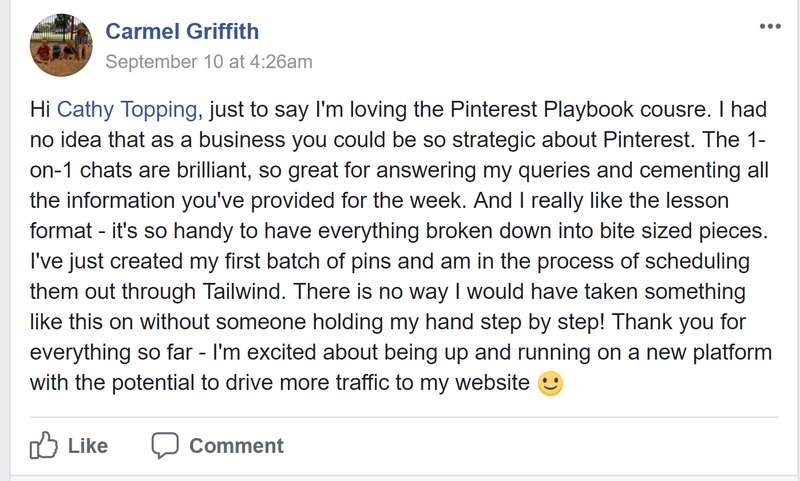 And what does a Pinterest strategy look like? Confused on how to get started with Pinterest? I get that a new platform can be overwhelming and confusing. And if you’ve only used Pinterest up until now to plan your wedding, or renovate your house…well, you might be a bit stumped trying to work out how it can help to grow your blog audience. That’s why I’ve created The Pinterest Playbook. It gives you a quick and easy roadmap to follow to set up your Pinterest strategy the right way, for fast and visible results. Once you get it all in place, with as little as 1 hour a week, you can keep everything ticking over. A step-by-step guide to THE PINTEREST PLAYBOOK. Each video is only a few minutes long. You can quickly learn each step, implement, and move onto the next one. An in-depth 40 minute training on how to create pins that beg to be clicked on! Over 400 group boards, divided into niches with information on how to join. Over 250 keywords already researched and saved down for you. All you need to do is copy/paste. 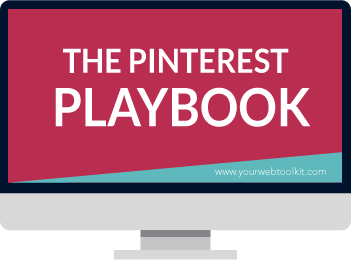 “The Pinterest Playbook is an awesome course that takes you from the beginning of setting up your account to optimizing your pins, to implementing a strategy, to keeping everything current. Cathy answers all your questions, provides great feedback and is available for support. Learn how to set up your Pinterest account the right way, so that you start attracting the perfect people to your account. You’ll learn tricks around keyword research, and how to optimise your Pinterest account and pins so that you appear in the Smart Feed. Learn which part of your website content to focus on right now, to start seeing real impact with your Pinterest strategy. We’ll look at growing your Pinterest account through group boards, SEO tricks and how to create pins that get shared over and over. To see results on Pinterest, you don’t need to spend hours pinning and repinning. You’ll learn how to use my favourite scheduling tool – Tailwind – to drive traffic to your website on autopilot, 24 hours a day. The key to Pinterest is finding a strategy that WORKS. You’ll learn how to read your statistics, to then tweak, refine and create the PERFECT strategy for your business and your audience. Boardbooster is another scheduling tool that allows you to set everything up on autopilot. This module walks you through how to basically ‘set and forget’ with Boardbooster. You also get 2,000 free pins to try it out. Yes, you CAN make money using Pinterest. 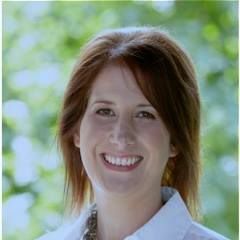 We’ll look at tactics for growing and using your email list for revenue growth. You’ll learn how to sell your products and services directly from your website. And if you want some truly passive income, you can dip your toes into affiliate pinning. Included is a 40 minute in-depth video on creating branded and share-worthy pins. Want extras? You got it. Tailwind allows you to automate your pinning, get access to exclusive statistics, and loads more! Get a whole month free to try it out for yourself. If you want to try Boardbooster scheduling instead, you can try it out for yourself at no cost with 2,000 free pins.